The world of wealth management is a complex one and a client new to it could be forgiven for being confused. There is a broad range of various kinds of professionals, all providing different services and advice. The highly personal and individualistic way in which wealth management tends to be offered means that each client should experience it in a bespoke manner. In essence, wealth management is about taking care of all your financial needs, as well as those of your family and in some cases businesses through a long-term, consultative relationship. Depending on the demands of the client, this can comprise different levels of complexity and service needs. At the core of wealth management should be a personal service and a long-term relationship with an adviser, or team of advisers. The adviser(s) should provide regular and comprehensive reporting about the management of your personal finances. A full wealth management service should include advice on investment management, estate planning, retirement planning, tax, wealth protection and cash flow analysis. As well as your assets, wealth management needs to consider liabilities, such as expenditure, mortgages, tax, including potential inheritance tax when you die, education fees and long-term medical care. More often than not, it is as much about wealth protection as it is about wealth generation. Clearly, a full wealth management service covers many areas of expertise, from tax, through to banking, pensions and investment management. 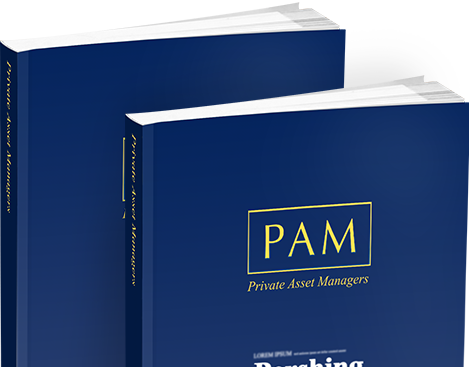 It is unlikely that any one private wealth adviser will have expertise in all these areas. Either you will need a relationship with a number of professionals, or your main adviser will bring in other experts when required. A typical example of how wealth management can help is a businessman looking for an exit strategy from his company. He may be preparing to sell his business for a notional sum of £10 million. He will be looking for ways to minimise his tax bill on the sale of his business and the most effective ways to protect and invest this wealth, once the company has been sold. The investment strategy will depend on his new objectives and risk tolerance, as well as his existing wealth. He will probably want to plan for how the money is passed on to his spouse, children, grandchildren and other family members before and on his death. He may also want to give some money to charity, but have some control over how this money is distributed and used, perhaps through the establishment of a trust. In this example, the businessman has turned to a private wealth adviser because of a life-changing event. But wealth management encompasses every aspect of your financial affairs during your life. Whether you are buying a holiday home overseas, reviewing your savings to provide a retirement income, or analysing the asset allocation in your investment portfolio, you are engaging in the wealth management process. Each area of your financial affairs should not be dealt with independently. Wealth management should deliver a co-ordinated plan, covering all aspects of your financial affairs, by taking a big picture look at your finances. Rather than sell you a financial product and never see you again, a private wealth adviser should be on hand throughout your life, to deal with issues before and as they arise. One of the key phrases of wealth management should be comprehensive financial planning. A private wealth adviser should seek to find out what is important to you and your family. What financial goals do you have and how do you want to accomplish them? Over what period of time do you want to achieve these goals? It is about working through questions such as these with a private wealth adviser and then considering his recommendations on how to achieve your financial objectives.